The first number you want to add. The number can be like 4, a cell reference like B6, or a cell range like B2:B8. This is the second number you want to add. You can specify up to 255 numbers in this way. My SUM function shows #####, not the result. Check your column widths. ##### generally means that the column is too narrow to display the formula result. My SUM function shows the formula itself as text, not the result. Check that the cell isn't formatted as text. Select the cell or range in question and use Ctrl+1 to bring up the Format Cells dialog, then click the Number tab and select the format you want. If the cell was formatted as text and doesn't change after you change the format, you might need to use F2 > Enter to force the format to change. My SUM function doesn't update. Make sure that Calculation is set to Automatic. On the Formula tab go to Calculation Options. You can also use F9 to force the worksheet to calculate. Only numeric values in the function reference or range can be added. Empty cells, logical values like TRUE, or text are ignored. The #NAME? error appears instead of the expected result. This usually means that the formula is misspelled, Like =sume(A1:A10) instead of =SUM(A1:A10). Check your cell formatting to make sure that you're displaying decimals. Select the cell or range in question and use Ctrl+1 to bring up the Format Cells dialog, then click the Number tab and select the format you want, making sure to indicate the number of decimal places you want. I just want to Add/Subtract/Multiply/Divide numbers See this video series on Basic Math in Excel, or Use Excel as your calculator. How do I show more/less decimal places? You can change your number format. Select the cell or range in question and use Ctrl+1 to bring up the Format Cells Dialog, then click the Number tab and select the format you want, making sure to indicate the number of decimal places you want. How do I add or subtract Times? You can add and subtract times in a few different ways. For example, to get the difference between 8:00 AM - 12:00 PM for payroll purposes you would use: =("12:00 PM"-"8:00 AM")*24, taking the end time minus the start time. Note that Excel calculates times as a fraction of a day, so you need to multiply by 24 to get the total hours. In the first example we're using =((B2-A2)+(D2-C2))*24 to get the sum of hours from start to finish, less a lunch break (8.50 hours total). If you're simply adding hours and minutes and want to display that way, then you can sum and don't need to multiply by 24, so in the second example we're using =SUM(A6:C6) since we just need the total number of hours and minutes for assigned tasks (5:36, or 5 hours, 36 minutes). For more information, see: Add or subtract time. How do I get the difference between dates? As with times, you can add and subtract dates. Here's a very common example of counting the number of days between two dates. It's as simple as =B2-A2. The key to working with both Dates and Times is that you start with the End Date/Time and subtract the Start Date/Time. For more ways to work with dates see: Calculate the difference between two dates. How do I sum just visible cells? Sometimes, when you manually hide rows or use AutoFilter to display only certain data you also only want to sum the visible cells. You can use the SUBTOTAL function. If you're using a total row in an Excel table, any function you select from the Total drop-down will automatically be entered as a subtotal. 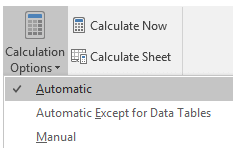 See more about how to Total the data in an Excel table.